Isabella Stallworthy and Shreya Lakhan-Pal, graduate students at the Institute of Child Development (ICD), have recently been selected to receive the 2018 National Science Foundation (NSF) Graduate Research Fellowship Program (GRFP) grant. The fellowship is awarded to outstanding graduate students in NSF- supported sciences who are pursuing a research-based master’s or doctoral degree. The NSF Graduate Research Fellowship Program is the country’s oldest fellowship that directly supports students in various science, technology, engineering, and mathematics (STEM) fields. 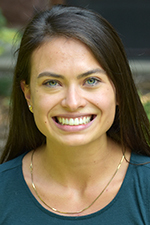 As a NSF Graduate Research fellow, Stallworthy plans to build on her past and current research focusing on self-regulation and social engagement in early infancy from bio-behavioral and social-cognitive perspectives. Through her research, Stallworthy hopes to inform parent education and caregiver interventions on ways to promote successful socio-emotional, communicative, and self-regulatory skills early in life. “I am excited to build upon my past research experiences to ask new questions about the emergence of the social mind and brain, synthesizing ideas from multiple labs and research traditions,” Stallworthy said. Lakhan-Pal’s research focuses on the understanding of emotional regulation during the transition to adolescence. 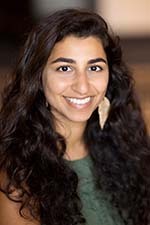 With help from the fellowship, Lakhan-Pal plans to use electroencephalography (EEG) to assess whether parenting practices around emotions have an impact on how effective teens are able to self-regulate. “I’m mainly curious on how parents’ supportiveness and tendency to coach kids through emotional experiences will affect their children’s ability to regulate during adolescence,” Lakhan-Pal said.